Spectrum Equity is a leading growth equity firm providing capital and strategic support to innovative Internet, software and information services companies. Accel, formerly Accel Partners, is an early and growth-stage venture capital firm with offices in Bay Area, London, UK and Bengaluru, India. Summit Partners is a growth equity firm investing in technology, healthcare, and other growth sectors. Kayne Anderson Capital Advisors is a leading alternative investment management firm focused on niche investing in upstream oil and gas companies, energy infrastructure, specialized real estate, middle market credit and growth private equity. Arrowroot Capital is a growth equity firm investing in growing software-as-a-service and internet-based businesses. Sageview Capital provides growth capital to small and mid-sized companies in the technology, financial services, and business services sectors. TA Associates is a global growth private equity firm focusing on profitable private companies in software, technology, healthcare, financial services, media and consumer products. Centana Management, LLC, dba Centana Growth Partners, is a growth equity investment firm investing in companies in financial services, financial technology or related enterprise technology. Adams Street Partners focuses solely on private markets investment management. Adams Street manages over $26 billion of assets across the primary, secondary, venture/growth equity and co-investment markets. 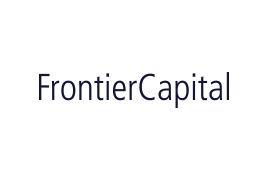 Frontier Capital is a Charlotte-based growth equity firm focused exclusively on software and technology-enabled business services companies.